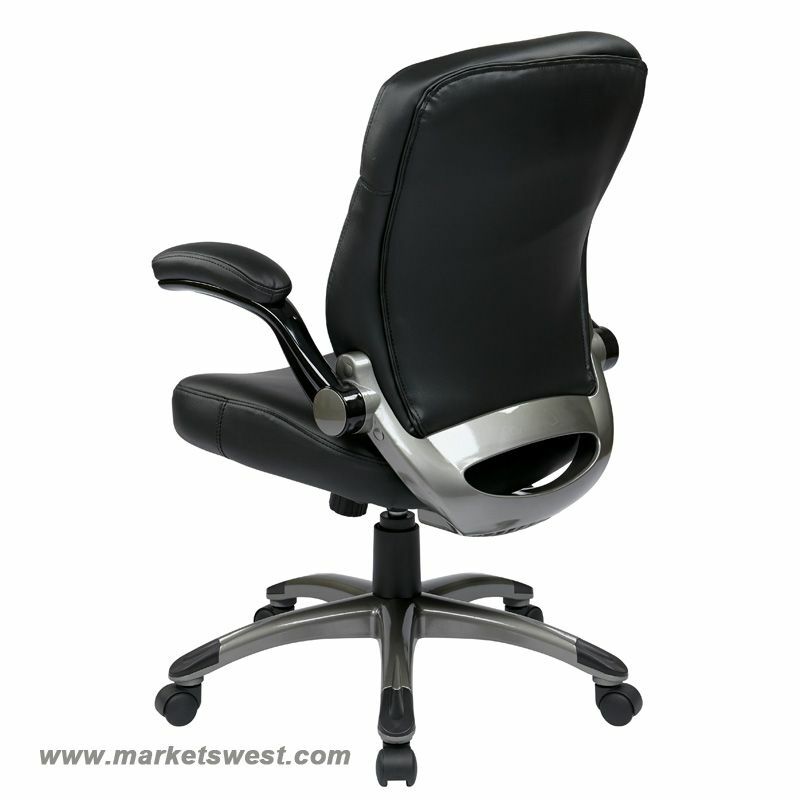 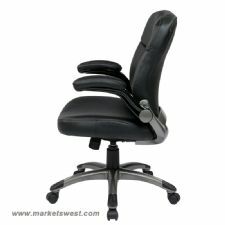 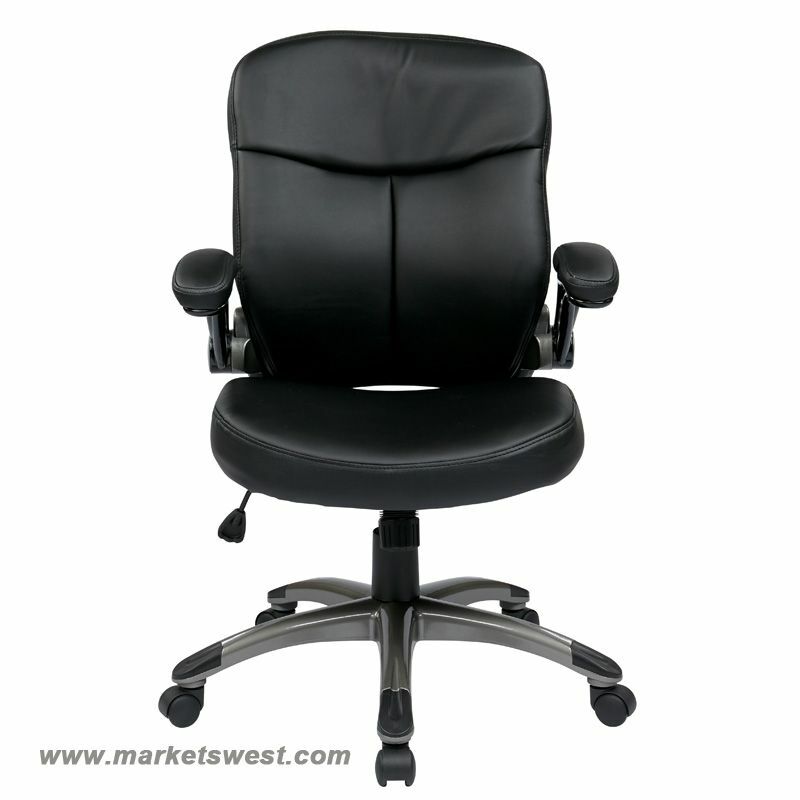 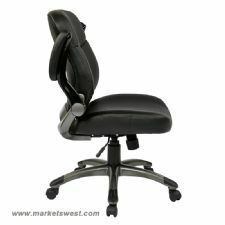 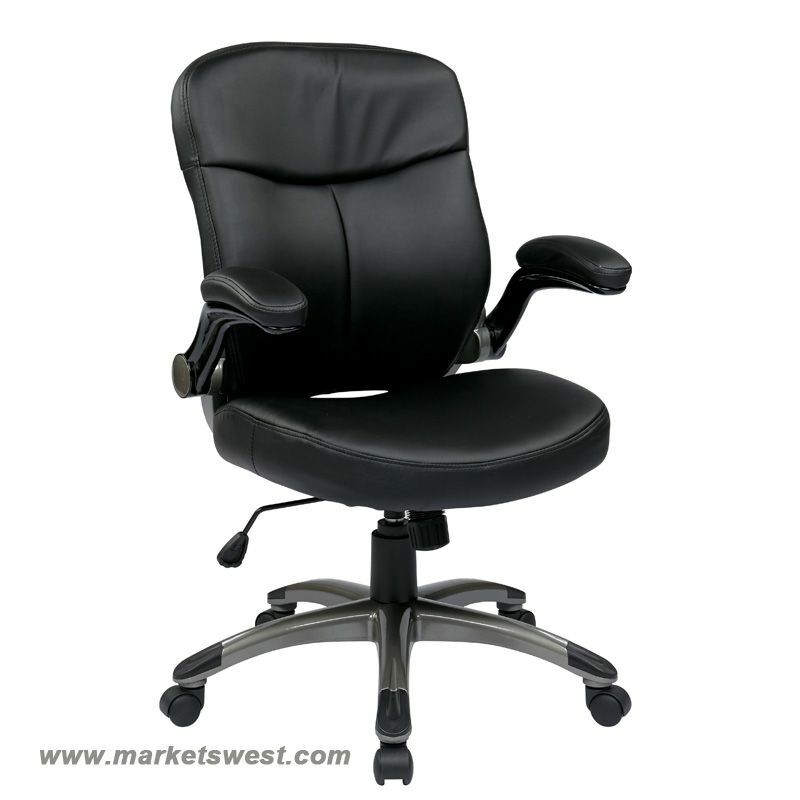 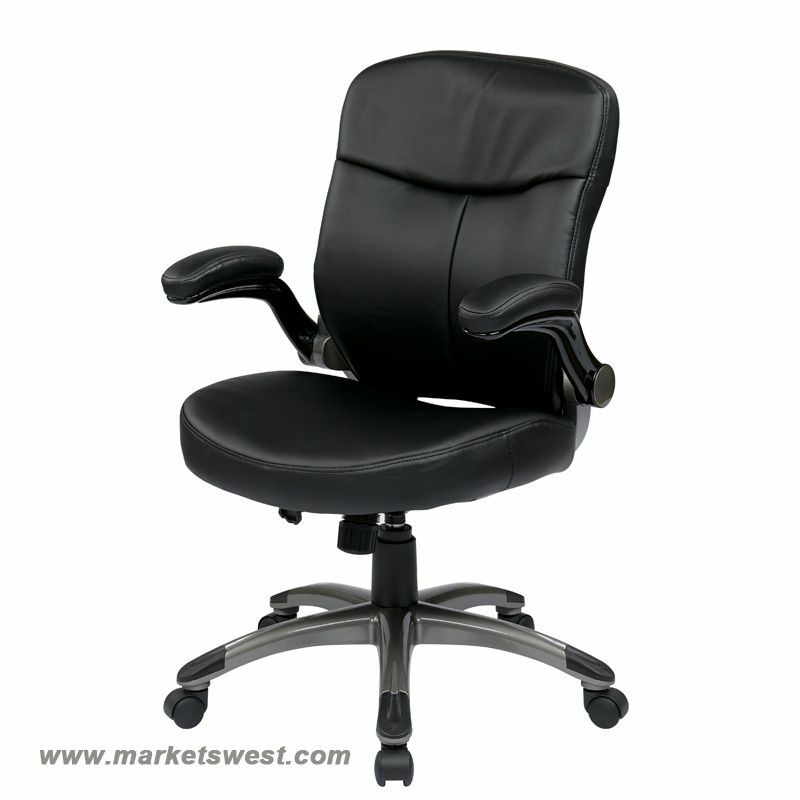 Executive Black Eco Leather Chair with Padded Flip Arms and Titanium Coated Base. Thick Padded Contour Seat and Back with Built-in Lumbar Support. One Touch Pneumatic Seat Height Adjustment. 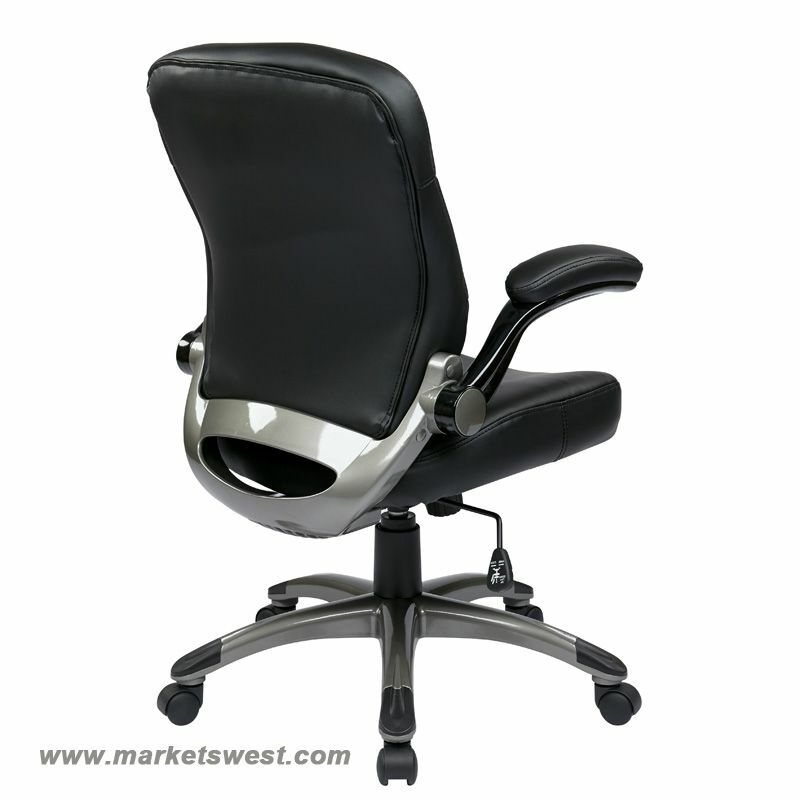 Locking Tilt Control with Adjustable Tilt Tension. 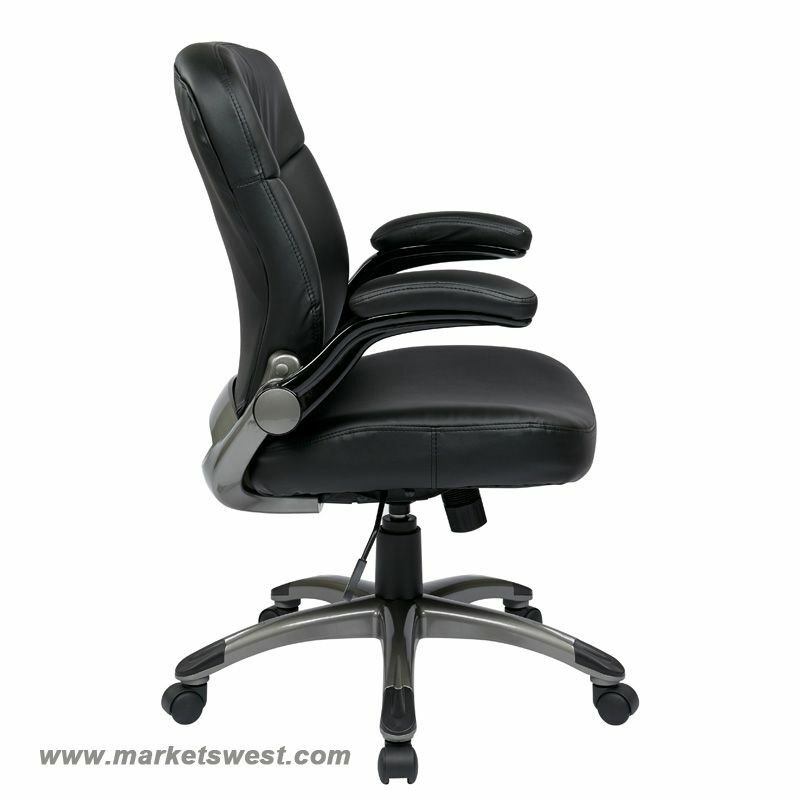 Padded Flip Arms. 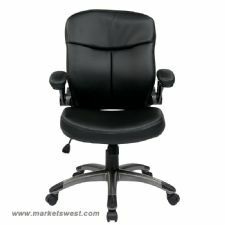 Black Eco Leather (-EC3). 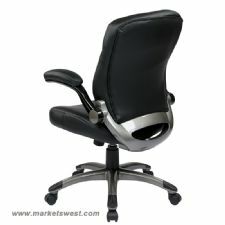 Heavy Duty Titanium Coated Base with Black End Caps and Oversized Dual Wheel Carpet Casters.